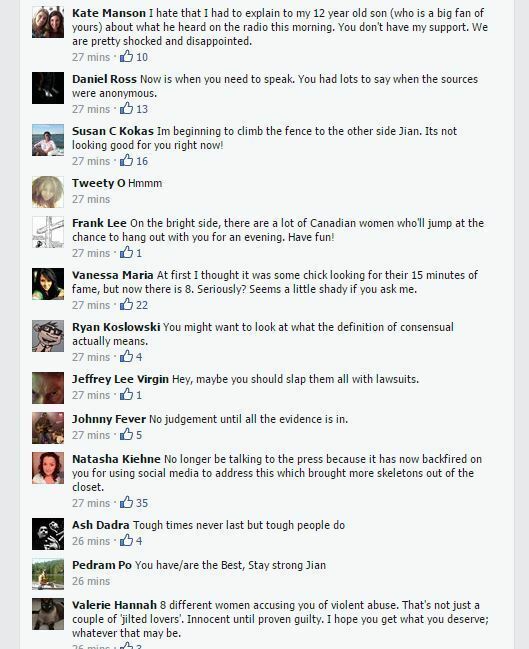 Embattled ex-radio host Jian Ghomeshi made a brief statement on his Facebook account Thursday morning. "I want to thank you for your support and assure you that I intend to meet these allegations directly," he wrote. "I don’t intend to discuss this matter any further with the media." Actress Lucy DeCoutere is the first woman to step forward and identify herself amid ongoing allegations of sexual abuse at the hands of the former CBC host. DeCoutere, who plays Lucy on the TV comedy Trailer Park Boys, told CBC&apos;s The Current that he physically attacked her during a 2003 date. Her allegations follow a Toronto Star report detailing similar allegations from women who did not wish to have their name used. The early response to Ghomeshi's latest statement, at least among Facebook readers, shows signs of somewhat wavering support. The former "Q" host is suing the CBC, alleging breach of confidence, bad faith and defamation by the public broadcaster after it announced he was leaving his job. 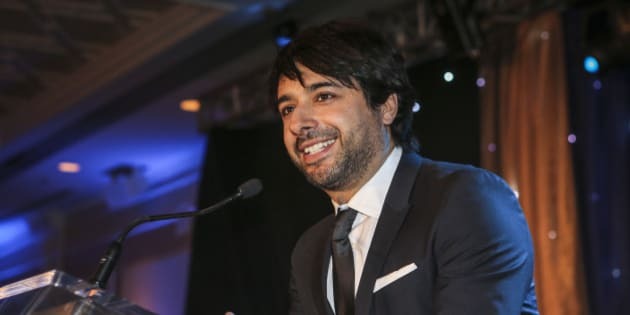 Ghomeshi posted a detailed account of his version of events on Facebook Sunday, saying he “voluntarily showed evidence that everything I have done has been consensual." Decoutere also spoke to Canadaland’s Jesse Brown and The Toronto Star’s Kevin Donovan following their investigation into allegations of Ghomeshi's physical attacks against women without consent and harassment of a female co-worker. The CBC acknowledged an ongoing investigation in a memo to staff on Tuesday.